If you’re experiencing shedding on your natural hair, you’re likely very concerned. Hair loss of any type is almost always devastating to women. Keep in mind that it is normal to lose up to 100 hairs per day. It’s part of your body’s regular process. However, if you’re experiencing more shedding than usual, you’ll want to check with a doctor and run some tests. Hair shedding can happen from malnutrition, hormonal changes, stress, and aging. Even genetics can play a role. A doctor can diagnose you and help you look for medical solutions, and you may also want to try some home remedies. When you have curly hair, it can be difficult to see exactly what is happening. A good way to monitor hair loss is by taking pictures. You can snap a photo of any thinning or bald spots you see and compare them over time. You can also compare amounts of shed hair on wash day by gathering it and taking a picture each time. You probably won’t see the fallen hairs on a daily basis if you have thick, curly hair. Instead, you’ll see them on wash day when you go to detangle. That’s why it’s crucial to remove them from your mane before you shower. Leaving them to co-mingle with the other strands could cause tangles and knots. Have hope. There are many things you can do to remedy your shedding problem. In this article, you’ll find five ways to reduce your excessive shedding. 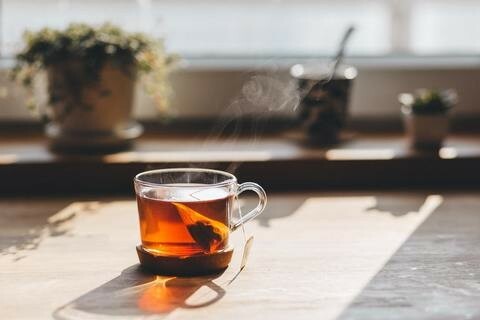 Tea rinses are popular among naturals for their ability to reduce shedding. They are full of antioxidants and are a well-known for blocking Dihydrotestosterone (DHT). DHT is a derivative of testosterone and has been linked to hair loss in women. To do a tea rinse, steep 1-2 bags of green or black tea in freshly boiled water. Transfer to an applicator bottle after it has cooled. Shampoo your hair, then massage the tea into your scalp for 15 minutes. Rinse with water and apply a deep conditioner. This ancient beauty ritual does a lot for restoring the strength of both the hair and scalp. Henna reduces hair fall and stops irritating scalp conditions like inflammation and itching. Be sure and get real henna powder when you make your purchase. Henna should always be a greenish color with a fine powdery consistency and it should always dye the hair red. Henna that claims to color hair black or other colors may contain a hazardous chemical called paraphenylenediamine. Henna will only color light hair strands red, and that makes it an excellent solution for gray hair. If you’re unhappy with the reddish tone, you can do an indigo treatment afterward. Indigo is a powder that turns hair black. You can mix henna with coconut milk or black tea to further your results, and you should always make your batch the night before to allow the color to develop. You’ll also need to deep condition afterwards. Applying henna can be messy, and you’ll need a full day to do the treatment and deep conditioning. Henna will also condition and strengthen hair, so it may be well worth the effort. Hair vitamins can help with shedding. The principal way to get more vitamins into your diet is through nutrition. Eat foods with iron, omega 3 fatty acids, protein, and plenty of green, leafy veggies for stronger, longer hair. For example, eating salmon, spinach and brown rice would be a fantastic meal for growing hair. However, it’s difficult and perhaps even impossible to get all of your nutrition for hair growth through food. You may want to try hair vitamins, particularly biotin. Most naturals know about biotin and its ability to grow hair. Biotin helps with hair growth by strengthening the follicles and the hair at the root. The result is that the hair grows longer and stronger. Taking hair vitamins is a way to strengthen your follicles and hair from the inside outward. Make sure your hair vitamin contains 2500-5000 mg of biotin. Many people are repulsed by the idea of using onion juice, but it does halt shedding and it can create more resilient hair. Users of onion juice also claim that their hair has grown in healthier, shinier, and bouncier. 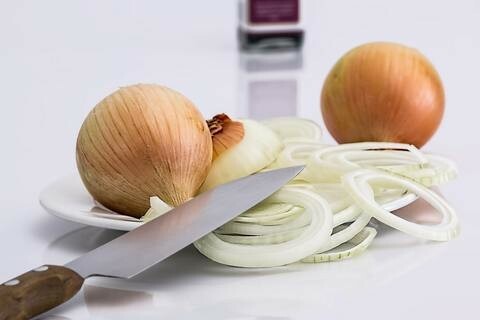 Onions contain a key ingredient—sulfur. Sulfur acts to kill microbes and promote collagen. It also stimulates the scalp and increases blood flow to the follicles. There are three methods you can use to make the onion juice. You can juice the onion in a juicer and use the extracted liquid. Or you can puree it in a blender with a tiny amount of water and then strain the juice into a cup. Or, you can boil an onion on the stove for 15 minutes and strain. Heating and boiling the onion does not affect the beneficial properties. After you’ve made your juice, place it in an applicator bottle and massage it into your scalp before you shampoo. No need to worry about the smell. The onion scent washes away easily with the shampoo. Rose essential oil is made from the petals of roses, and it smells divine. This unique oil helps to strengthen your hair at the roots and it prevents hair fall. Rose oil is potent, so it is best to dilute it inside a carrier oil. Suitable carriers are those which do not compete with smell. For instance, olive oil might draw attention away from the wonderful smell of roses. On the other hand, Jamaican black castor oil has very little smell and it works well alongside rose oil to promote hair growth. 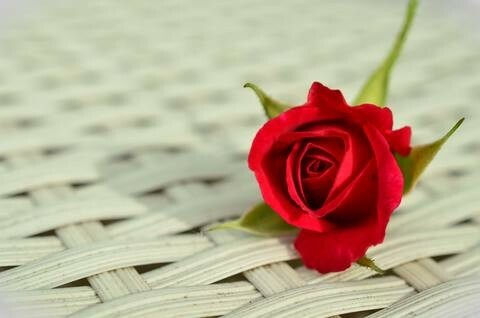 Be sure to choose rose oil from organic and pure roses to avoid pesticides. Keep these five methods in your arsenal for whenever you have a shedding problem or do them occasionally for prevention. Either way, doing these techniques will likely conquer your shedding issue so you can enjoy fuller, thicker hair. Have you used any interesting remedies to control shedding on natural hair, and did they work?